The World Association of Basketball Coaches (WABC)and the NBA Coaches Association (NBCA) are proud to announce a partnership to further develop the international basketball coaching community. 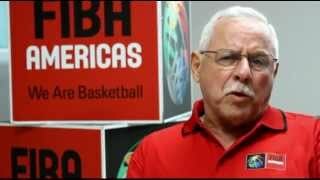 In the Congress held this past weekend in San Juan, the Spanish Basketball Coaches Association honored FIBA Americas Basketball Academy Director, Mr. Victor Ojeda for his contributions to coaches throughout the continent. 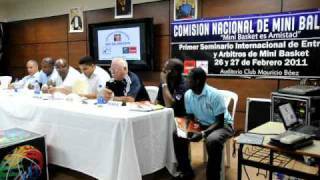 FIBA Americas and the Basketball Academy in the Americas, is proud to announce the establishment of the first Basketball School for Coaches of the Americas. 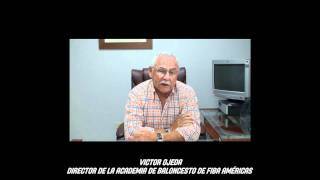 At the same time the Academy of Basketball announced El Salvador as the host of the sixth Festival of Mini-Basketball. Get the latest videos from the Academy of FIBA. Articles of interest for the development of basketball. In our blog you will find articles of interest to coaches.